We believe children have their own unique relationship with God, and we respect and honor their connection with the divine. Children are a vital part of our growing church, and they are welcome in every aspect of worship and community fellowship. We provide age-appropriate options for connecting with God through our nursery and children’s church programs. We also provide supplies to keep children quietly busy and reflective during adult worship services. Children and parents are welcome to gather any supplies they need before the service begins from the Children's Worship Supply Table in the Sanctuary. Most Sundays, children start in worship with their families, but are dismissed to their own Worship experience after the Opening Songs and Prayer. Parents and caregivers should pick up their children after the service. Please make sure the church has an Emergency Form on file for your child before participating in this and other church programs. Our church nursery is a quiet place to feed your baby, change a diaper, offer a nap, or let little ones play in a safe environment. If you need assistance or want supervision for your child during the service, please ask a Greeter to help you identify the Nursery Volunteer, who will be listed in the Worship Bulletin. Our Community Easter Egg Hunt is a fun time for our church family and neighbors to celebrate Spring and get to know each other. We offer egg hunts for Pre-K through 5th grade, face painting, crafts, story time, and more. 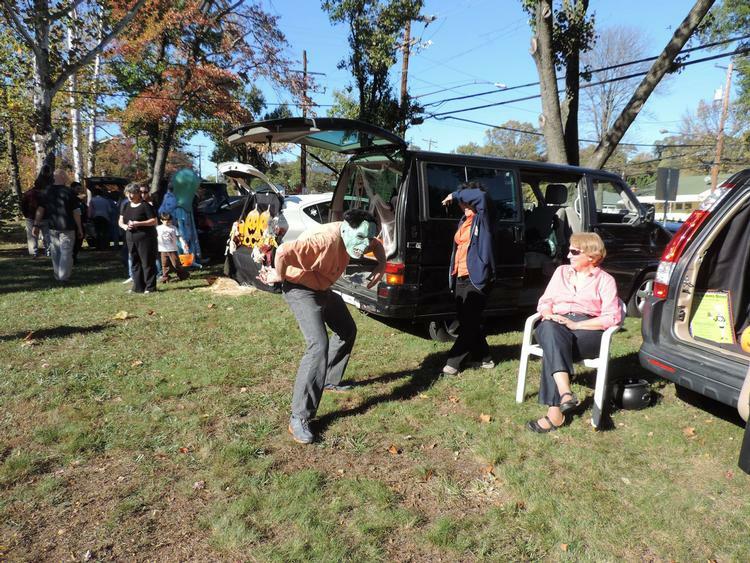 The Trunk or Treat - free and open to the community - is a safe alternative to Halloween, allowing youngsters (with or without costume) to go car trunk to car trunk playing games and getting treats on our church lawn. We also have a live petting zoo, bouncy houses, music, and food to share. Our children and youth are invited out for a meal, Children's Choir practice, and some youth group time. We'll be learning about the Bible and the basics of our faith. Meets on Fridays on the following schedule: February 22, March 8, 15, 22, 29, April 5 and 12. Parents are required to submit our Emergency Form before participating in any youth programs, and our Permission Slip before attending any field trips.